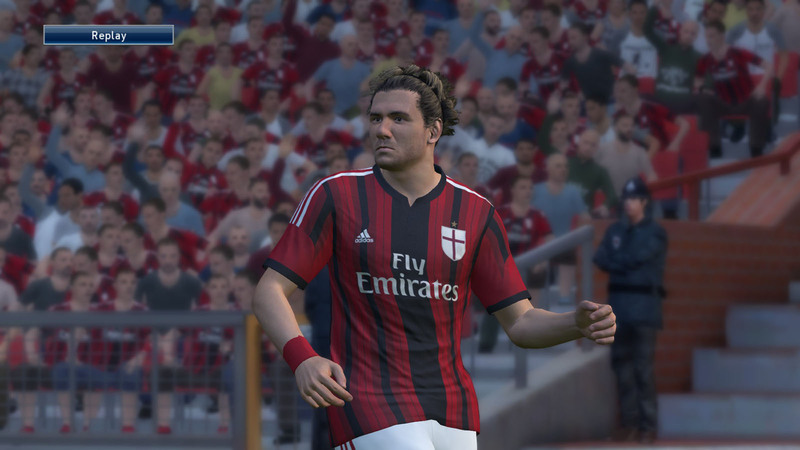 The new PES 2015 Live Update is finally available following the Pro Evolution Soccer 2015 maintenance this morning. 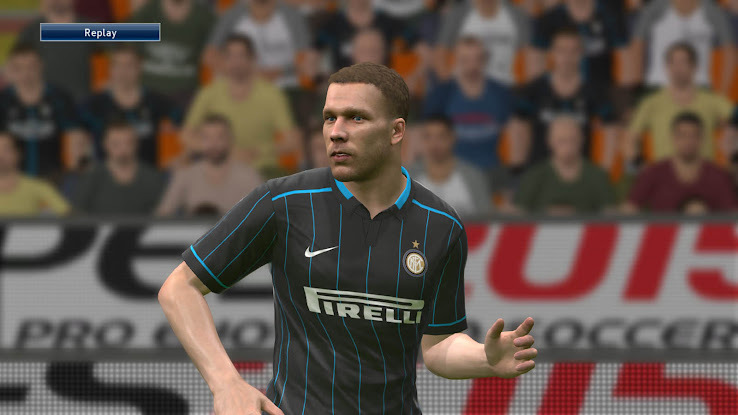 The January 15 2015 PES 2015 Live Update includes re-evaluated stats for more than 400 players, as well as 22 new players and 80 PES 2015 transfers. Note: Live Updates by default are only enabled in online modes. To enable the updated PES 2015 players and transfers in offline frindlies, press R3 during team selection. 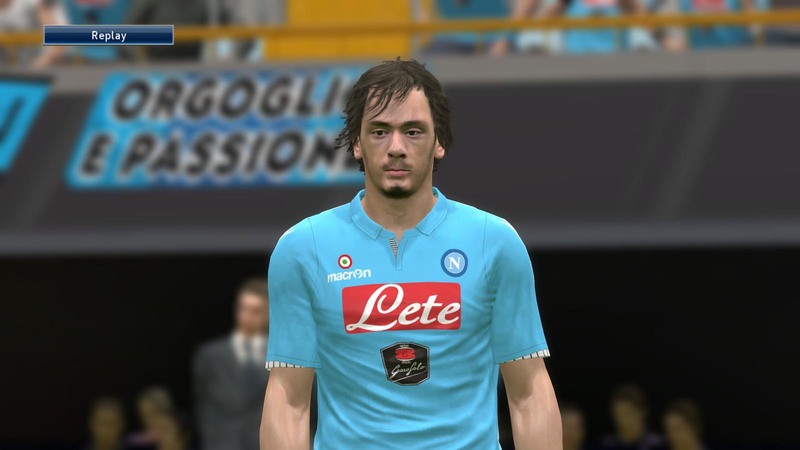 The PES 2015 Live Update (15/01/2015) includes no less than 80 transfers. Today's transfers include the likes of Alessio Cerci (Atlético > AC Milan), Lukas Podolski (Arsenal > Inter) or Nélson Oliveira (Benfica > Swansea), and 77 more across all included leagues ('Other teams' and 2nd divisions are affected, too). More than 400 PES 2015 players received stat boosts for their performances last week (January 5 - January 11). 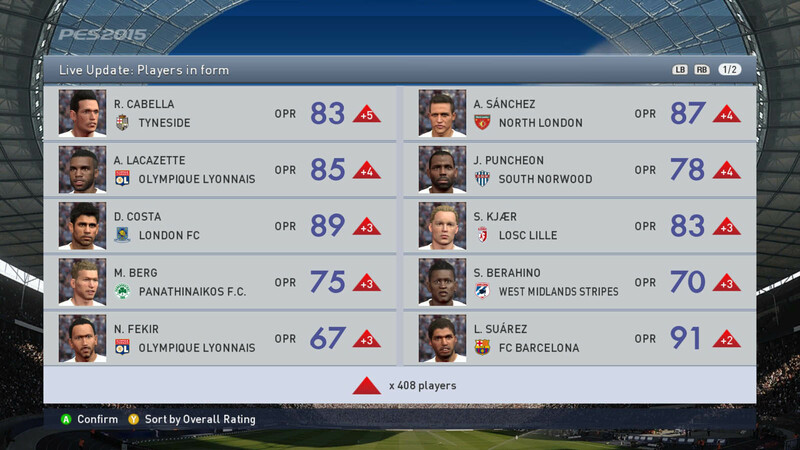 The biggest winners in the January 15 PES 2015 Live Update are Newcastle's Rémy Cabella (+5 to 83), Arsenal's Alexis Sánchez (+4 to 87) and Lyon's Alexandre Lacazette (+4 to 85), while a number of Barcelona players were boosted following the convincing win over Atlético.